Beautiful nature and music lesson, with lots of gorgeous cats, flowers, insects, and produce. Thanks for stopping by from EquipsBlog, Pat, and thank you for the kind comments! Thanks for stopping by from PlatformNumber4, Becky, and thank you so much for the kind comments! Those crab spiders are tough little guys. You have great looking grapes. We have a lot of grapes this year growing in the apple trees. 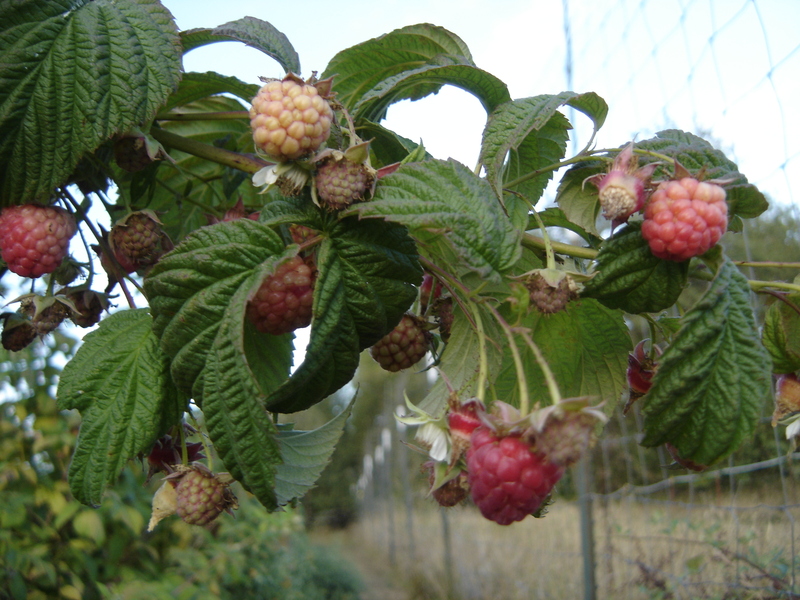 For some reason our wild raspberries didn’t do anything this year. Surprising since all our other fruit bearing trees and plants are loaded for the first time in 12 years. It’s always nice to see and hear from the kitties. Thank for stopping by from Off Center & Not Even / T & L Photos, Tim, and for the kind comments! 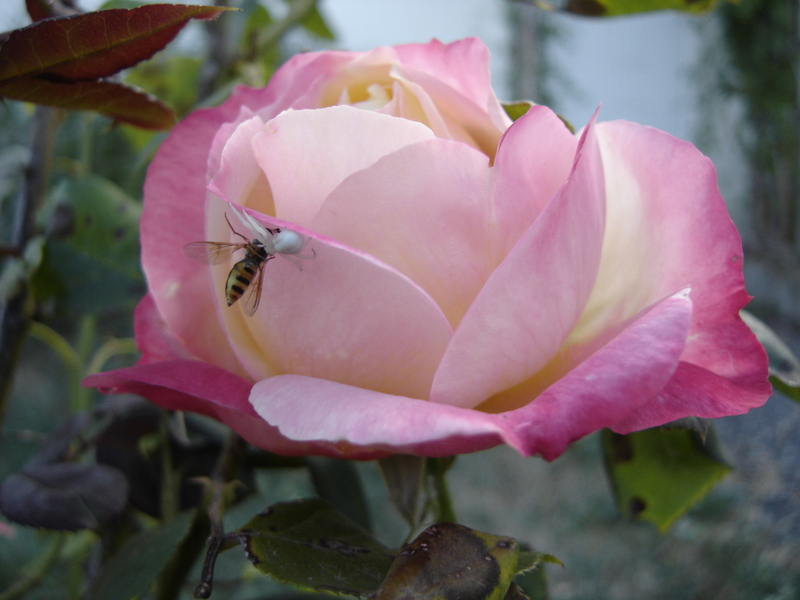 Yes, those crab spiders are tough little guys and gals, and our roses seem to harbor quite a few of them. 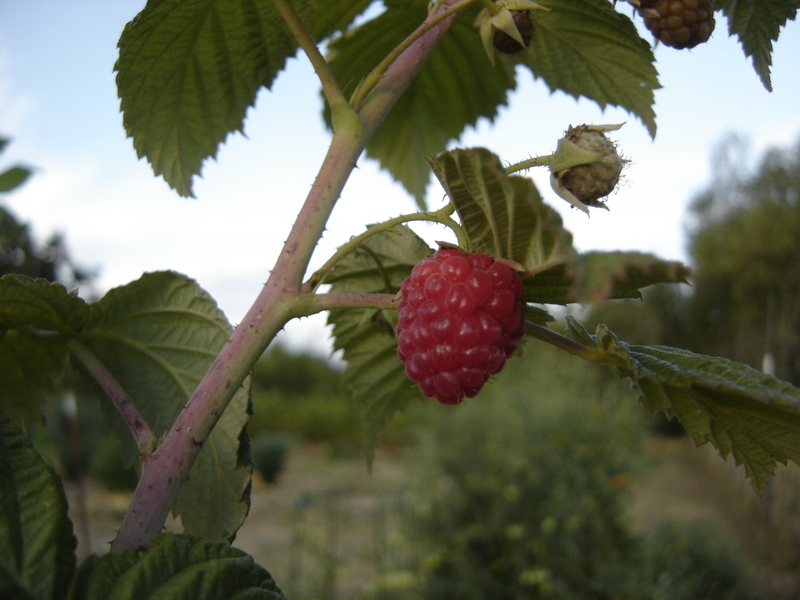 Our raspberries, which are everbearing varieties, shut down in the heat of August, and are just looking a bit happier now. Amity seems to tolerate heat a little better than Autumn Bliss. The Black Magic blackberry is a new variety I am trying out. The wild blackberries did not do as well as last year, when I pulled 25 qts of them from the back lot. Summer was just too hot and dry, and many shriveled on the canes. The ones ripening now may be the best we get. The kitties are getting older along with us. Willow got her first bath, and was not pleased. I suffered minor bodily damage. 🙂 She is roughly 22 years old now, still enjoying life and getting around, but with the leaky bladder and not cleaning herself as well, she needs a little extra care now. The Three Sisters are the youngest at 5 years old. Marcus and Hope are 11, Nano is around 12, Lucio is 13 and Abby turned 16 in April. I’ll catch up with your blog in the morning, Tim. You have a wonderful bunch of kitties and critters, and I love those amazing photos you take of your area, especially the Sandias. When are old kitties started having trouble cleaning themselves. We’d take a warm, wet wash cloth and clean them with it like another kitty licking them. They really liked that. I’ll try that with Willow. Thanks for the tip! Your post was the first to greet me when I entered my WordPress world today. What a pleasure to read. The berries look wonderful, the grapes, too. And what funny things happen in the life around you: a sign for Pie; a blue jay pecking a squirrel’s behind! I hope rain comes to cool and ease the earth, once the harvest is over. Thanks for stopping by from silkannthreades, Gallivanta, and thank you for the kind comments! You are heading into spring in New Zealand as we approach the autumn harvest here in our hemisphere, and I am looking forward to the news from your area. I will be planting your father’s spring flower bulbs come late September. I wonder! I send lots of love to be planted with the spring bulbs for my father. And, once again, thank you for your generous spirit and kindness. Hi Lavinia! I’m always enjoying and looking forward to read your posts. It’s a very interesting journey in your beautiful and amazing garden. It’s so wonderful to see all the changes of Mother Nature during the different seasons. It looks like Mr. Nano is having a very good vacation… But that’s no problem, Miss Wynken did a very good job with her report on what’s happening on the farm. It’s so lovely to see all the cats living together. Wishing you a wonderful weekend, my dear friend! Mr. Bowie says “Meow!” and sends his regards to the cats and the humans on the farm. Thanks for stopping by from Hands On Bowie,Herman, and thank you for the kind comments! Miss Wynken sends a big “Meow!” to you and Mr. Bowie. Mother Nature’s seasonal slide show keeps her occupied. She does missthe rabbit sightings on the north border, though, and wonders if something happened to her friend this past month. Mr. Nano is having a very good vacation, lying about and snoozing on his back, feet in the air! He loves the summer breezes coming in the windows. The cats are all well. 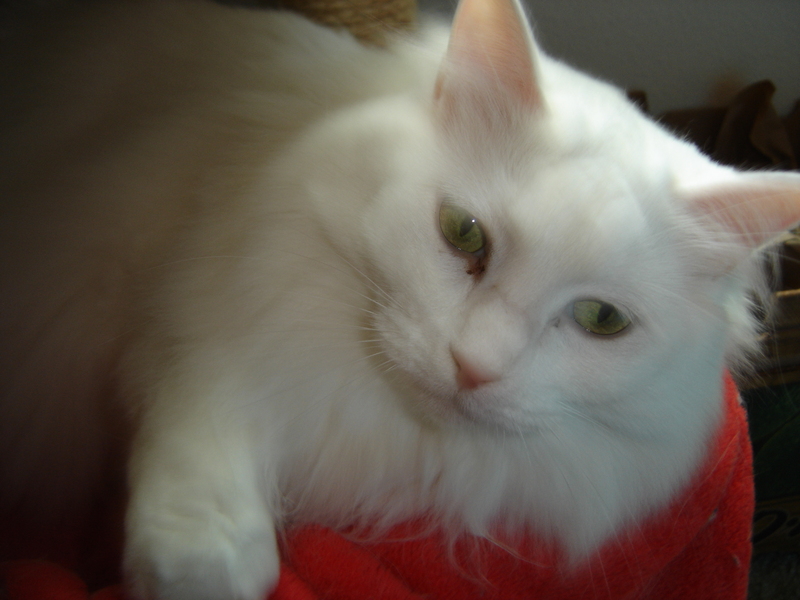 Willow is roughly 22 now, and needs extra attention these days as she does not clean herself so well anymore. She still loves her life, and we keep her as comfortable as possible. We are keeping the cherry tree and cherry tree garden watered, although in the heat it shut down. It will look beautiful again in spring. My pleasure, Lavinia! Thank you for your attention for the cherry tree garden, much appreciated. Wow, Willow is 22 years old… that’s fantastic. So nice of you to take good care of that girl. The sun seems much stronger out here in the west than what I remember from living back east. Although I do love the lack of humidity, and therefore far fewer mosquitoes in summer, the prolonged periods of no rain and continual temperatures in the high 80s and 90s get a bit tedious for us and the garden. Plants tend to shut down and not grow much when the heat is excessive. I’m finding plants that I would have thought do well in full sun actually need some shade, especially in afternoon out here. 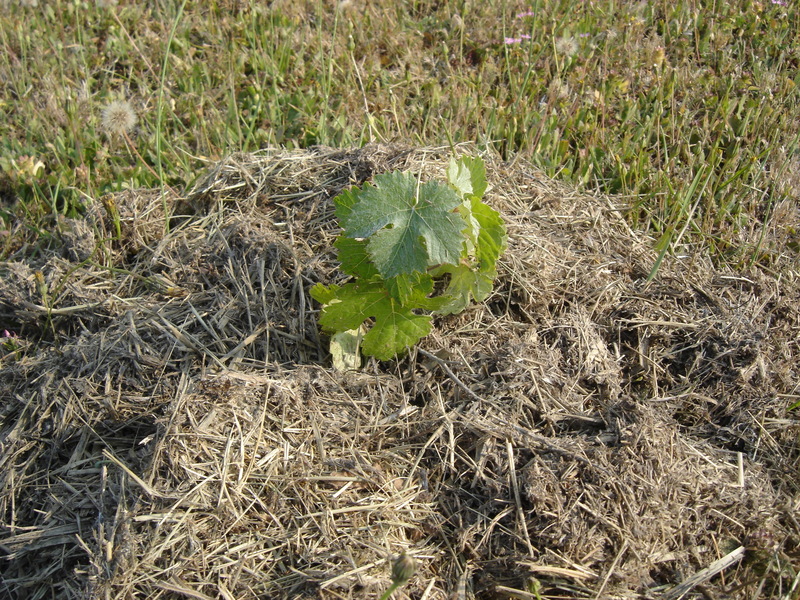 Grapes do very well here, and tend to survive the drought, sending roots 5 or 6 feet down. 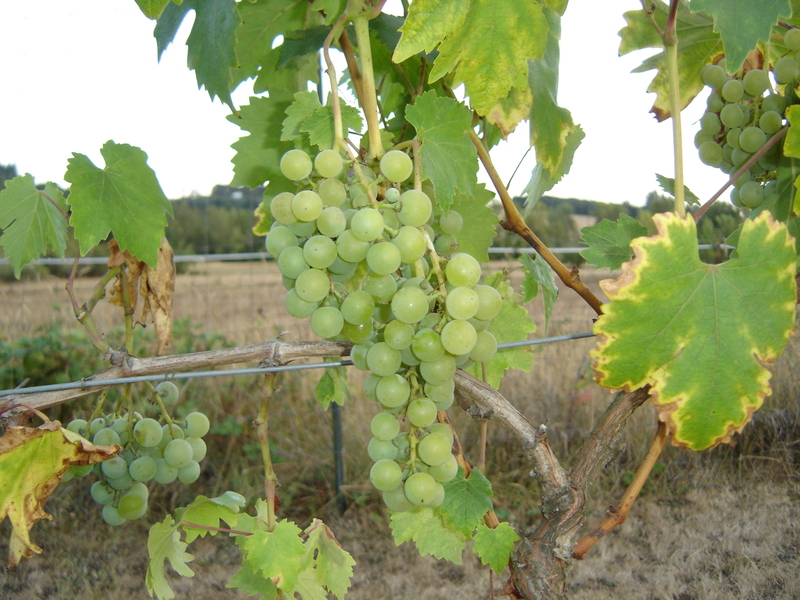 The prolonged heat does affect veraison, the time of ripening. Hot vintages tend to be higher in alcohol (grapes are riper sooner and have higher sugar content) but lower in acid, which helps give the wine balance and stability, and helps delineate flavors. The smoke from fires can drift a long way, and the fires have been so bad in recent years I am not surprised you got haze there in upstate New York. You wonder how long the soil will last if so much of it goes up into the sky each year. Your grapes look wonderful so I hope that you will get a good wine season. Thanks for stopping by from Tootlepedal’s Blog, and for the kind comment! The grapes are ripening ahead of schedule. This is considered a hot vintage year here. I think we will be fine in the wine department if we catch the grapes at the right point. The skyward soil question is a good one, and one I have wondered about for years. I assume it generates some polarizing politics. Lovely update, Lavinia. I’m happy to hear all is well on the farm. The grapes and berries made my mouth water. We’ve been extremely dry and oppressively hot and humid the entire summer. I’m not ready for the cold yet, but I would like a little cool, crispness in the air. Thanks for stopping by from Jill Weatherholt, and for the kind comments, Jill! It deilghted me to see your crab spider above. They are great hunters (or lurkers, shall we say) and I’m amazed by the number I see tucked into flowers here. Thistles especially seem to be favorites for them, perhaps because there’s all that fluff to hide behind. Even though this seems to be a normally dry time for you, it certainly can drag on, can’t it? You have dust devils; we have water spouts as the season begins to turn, and weather patterns change. I saw two during August. Now, a big “spout” seems likely as our first tropical storm of the season may be forming. September is the height of hurricane season for us, and everyone will be glad when it’s over. We like to say that September is our October: the time when everyone can relax. The grapes are beautiful, as are the berries. 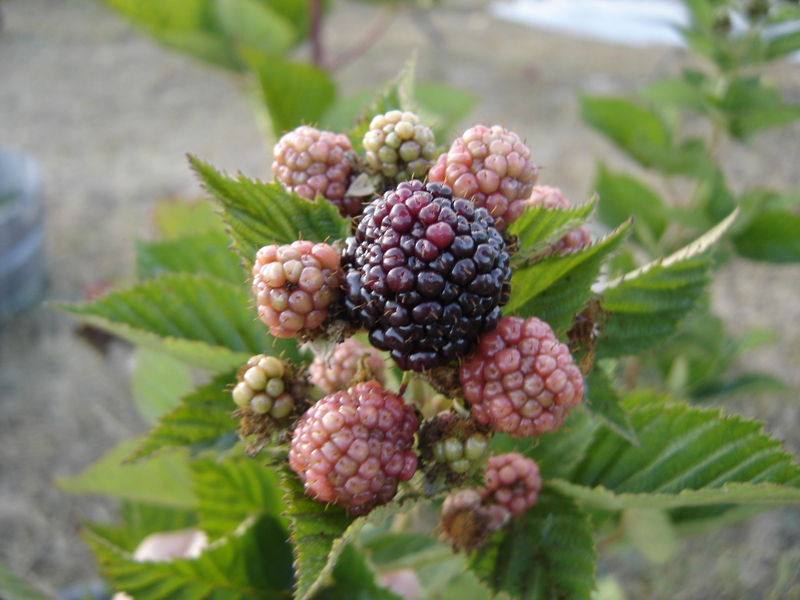 I just learned recently about the wineberry (Rubus phoenicolasius), an Asian variety that was brought to this country by geneticists wanting to breed new forms of the raspberry. Everyone likes those fruits, it seems. It’s always fun to hear news of the kitties, and of course news from them. We’re in a rainy period now, even prior to any tropical system, and despite the fact that no one likes their holiday weekend dampened, I’ve heard no complaints. Once people have experience real drought, it takes a while for them to begin complaining about rain again! Yes, the dry season can drag on, and on. I look forward to the rainy season every year, except when I am trying to harvest fruit from the old persimmon tree, which doesn’t get ripe until late October or early November. Otherwise, I look forward to those wild grey skies, the sound of rain on the metal roof, and gopher holes spouting water like artesian wells. I would love to see a waterspout! I wish you safe passage through hurricane season. I looked up Rubus phoenicolasius, and they look very much like the “wild” red raspberries that grew in a sizable patch beside the road up on hill near where I grew up. My friend’s mother called them “wineberries”. They were quite good, although we got scratched up collecting them. Dixie’s iris is still doing well. I am hoping it will bloom next year. Your photographs are showing how beautiful your farm, grapes fascinated me…. Good morning, Nia! It will be morning here in less than 2 hrs. Thanks for stopping by Photography of Nia, and for the kind comments, Nia! I wish you were here to walk around with us, and visit with the cats. You are always welcome here. I am sorry your heat wave continues. We are coming out of the real hot weather now, but it is still very dry. I had never heard of a crab spider. Your kitties are adorable. We grow grapes too, mainly concords. You have a beautiful voice. 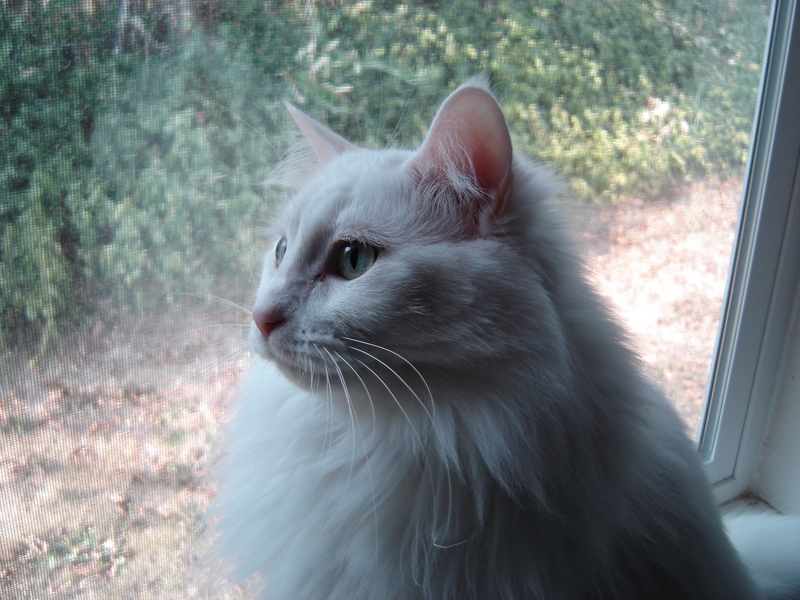 Thanks for stopping by from 15 and Meowing, Ellen, and thank you for the kind comments! We have a lot of crab spiders here, often staking out a claim on a bloom. We have table grapes as well as wine grapes, and do have a little Concord among the Cascade, Delaware, Suffolk Red, Glenora Black Seedless and Niagara. Very nicely written and interesting newsletter! So glad to see that you have had a good summer. I especially enjoyed Miss Wynken’s excellent report. Thank you for stopping by from Montana Outdoors, Montucky, and thank you for the kind comments! I love this time of year when all the hard work from spring and summer pays off in so many delicious things to eat, and drink. Thank you for stopping by from A Suffolk Lane, and thank you so much for the kind comments, Clare! Our temperature normally swings 34 to 50 degrees over the course of a day, and has been in the 40sat sunrise, but still getting into the 80s and 90s during the day. Tomorrow is forecast to be near 90 degrees here. Those cats keep such good notebooks! I learn a lot from them. 🙂 We are getting older along with the cats. We are staying well, and keep waking up on the right side of the ground. All good things! So pleased to hear that all is good in your world. The grapes are looking fabulous though seem to have a little way to go to ripeness. How long until you are due to harvest? Ours are ready to pick any day now. A great crop though smaller than it might have been due to the extreme heat and lack of water (seem to say this every year!). Quite excited as it should be the first proper harvest we have off our new vines. Love Miss Wynken’s description of the squirrel exiting, pursued by a Blue Jay! Things seem nice and calm in their lives too. Good luck with the harvest. Look forward to hearing what you produce. Rick thinks about 2 to 3 weeks before our pinot is ready. Table grapes are starting to come in now. It’s a hot vintage year here, and I don’t think we’ll have any problem hitting 22 brix, especially with insect netting up (a bad yellow jacket wasp year here, too). Sorry you had to give up those jazz concerts. I know well about being too busy and life getting in the way of life. I have a dream that one day I’ll see you live in performance! 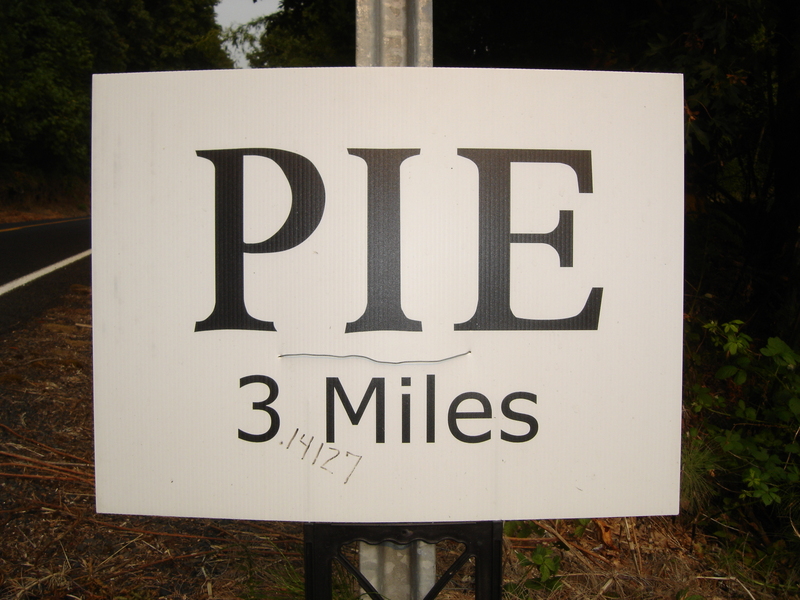 Meanwhile, that picture of the PIE sign was worth it, but glad you didn’t get yourselves killed turning around to get it. Your writing evokes the sounds and sights and smells and draws us right in, Lavinia. Sounds like you’ve had great sunsets, too! Thanks for sharing, and I also love the photos of the grape bunches. Thank you for stopping by from Cynthia Reyes, the blog of Canadian author Cynthia Reyes, and thank you so much for your kind comments and support, Cynthia! You are one of the reasons I keep writing. You are an inspiration! More hazy skies from new fires, although thankfully for us they are far away. I feel for those in the middle of these fire zones, and pray for their safety. An orange sunrise here today. For us, beauty in the morning; for those living in the fire zones, it must be hell. Beautiful images Lavinia .. the grapes look amazing. Wish I could send you some rain .. Thank you for stopping by from Frog Pond Farm in New Zealand, Julie, and thank you for the kind comments! Wishing for clear skies and some much needed rain for you Lavinia, yet still the way you describe your landscape makes me want to see those dust devils for myself! Your fruit looks bountiful and I’m glad you’re able to enjoy the ‘fruits of your labour’. Thank you for stopping by from Harvesting Hecate, Andrea, and thank you for the kind comments! The incoming fruits and vegetables are a welcome sight after a long hot summer. The incoming fruits and vegetables are quite a welcome sight at this time of year. I always enjoy reading your beautiful post and Miss Wynken’s report. I did not know about crab spiders although we have spiders in my garden making havoc to my roses. I love the photos of your wines and berries. I ventured on planting a grape vine this year – Razzmatazz, a new variety I was told and disease-free. It’s been pretty healthy with lots of leaves but I did not see any fruit. Do they bear fruit the first year? I’m new to this but I always want to plant a grapevine. 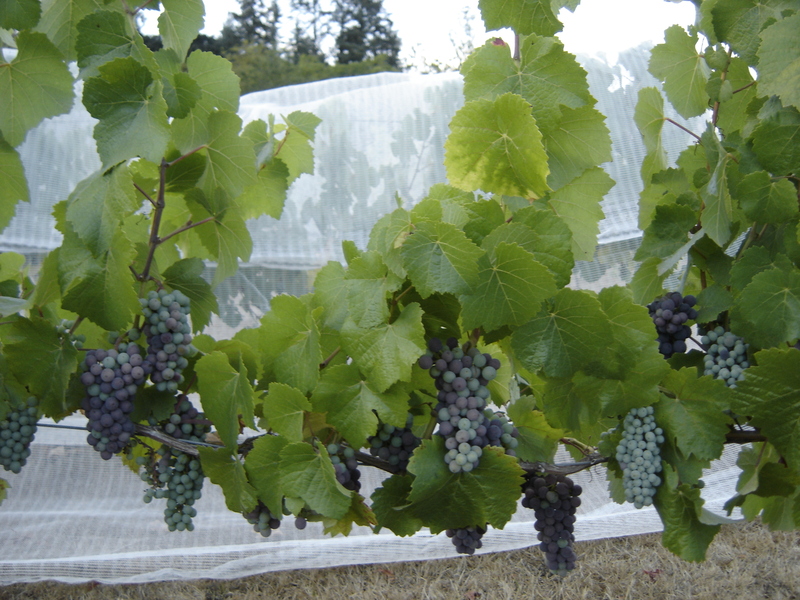 I have seen the Razzmatazz grape advertised in one catalog that came my way, by they are not allowed to ship grape vines to Oregon, probably due to the wine industry here, and the threat of disease. Grapes are in general easy to grow. They do need watering until they are established. They will send roots down 5 or 6 feet. We have rooted grapes by cutting canes and sticking them in damp soil. They can also be cloned by layering, or making grafts to phylloxera resistant rootstock. It generally takes 3 to 4 years to bear fruit, 4 to 5 to get usable grapes. Good luck, and let me know how this variety produces for you. Thanks for the info. I’ll just have to be patient. It’s like climbing rose. They don’t get full potential till the 3rd year. Best regards to you and Rick and your wonderful family of cats. Dear Lavinia, thank you for sharing your beautiful music with us. It’s such a treat and it nourishes the soul. Wynken is so lovely that I’m always stunned when I see her. And so are the grapes! I’m sure you have some delicious wine ahead. I wish there could be some kind of balance — that I could share some of the rain we’ve had/are having/are scheduled to have with you. We’re positively saturated. As always I enjoyed this wonderful update from you. Hugs on the wing. Thanks for stopping by from Teagan’s Books, and for the kind comments, Teagan! Miss Wynken is blushing! We had a very light rain this morning. Not enough to soak the ground, just caress and hydrate tired leaves. 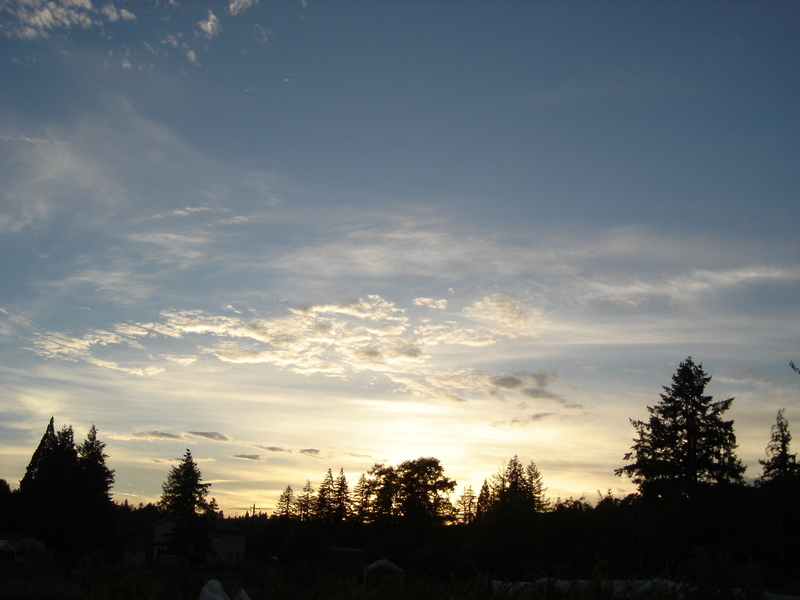 It was a good day for cloud watchers; they have been feeding on the river of moisture coming up the Willamette Valley, and appeared fat and woolly-looking this evening as I was driving up I-5 on my way home. Hugs on the wing to you and Crystal from all of us here. LOL you’re too kind. Do take good care of you, Lavinia. We’re going from soaked straight to a hurricane. It shouldn’t be a problem this far inland, but if it hangs around (as it is expected to do) there will be infrastructure problems when we’ve already had so much rain that “falling trees” are a hazard. Power outages, downed trees blocking roads, and oddly water outages too. My anxieties have become a problem, so it’s bothering me more than it would have in the past. All will be well though. Big hug right back. We got some rain today, a short cloudburst. Just enough to wet things down, not enough to soak roots. Some beautiful cloudscapes today before the storm. At harvest time, a little rain is good, but not too much. 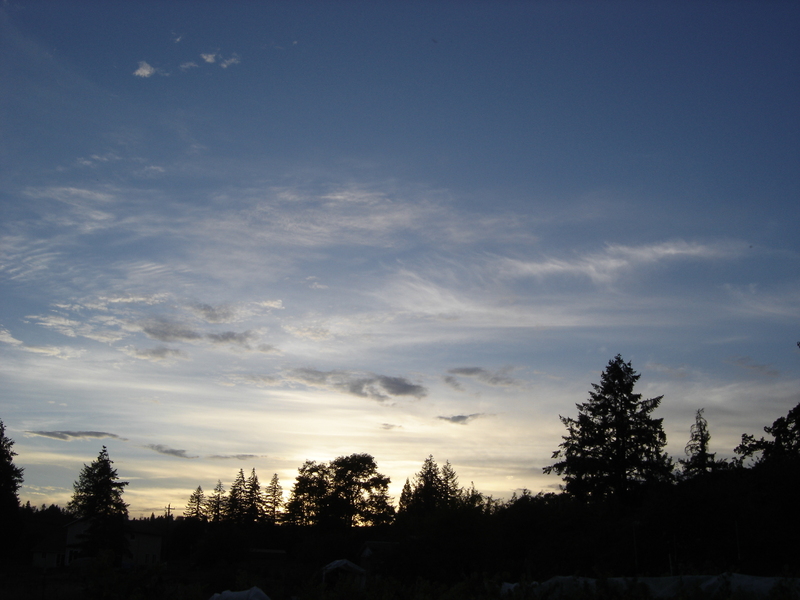 The really hot weather is gone now, and we are in the transitional time. All the best to you, Jeanne! Your work , Lavinia and Rick has been rewarded by a beautiful crop of fruits especially of grapes . I think the warm drought ha s been an advantage for the grape vine . Figure I succeded to save some grapes from the mushrooms and the birds . Your nets have been precious . Your post describe also two interesting elements of food chains : crab-spider – hymenopter and fox_-dove . The first exemple stands in a sweet place: a delicious rose . Bravo for the photo, Lavinia. Thanks for stopping by from your blog site FauquetMichel, and thank you so much for the kind comments, Michel! The grape vines will sink roots 5 or 6 feet down, and can weather drought fairly well once established. I am glad to hear you have rescued at least some of your grapes from fungus and birds. Nets do work well for birds. We had to go to insect netting to keep out the wasps. I was lucky to be in the right place at the right time to catch the crab spider at work, and to see the fox chase the dove. 🙂 I am glad you enjoyed the photo of the crab spider on the rose. I agree Lavinia about the photo of thr predation by the crab Spider .. It is exceptional. After a brief reprieve courtesy of the summer monsoons, our weather has become dry, which is the norm for Colorado. The fall season tends to be fairly dry for the most part. Occasionally, we are surprised by an early winter storm. Fortunately we haven’t had any for several years. If one is to comb through the weather records and oral histories, the September-October snowstorms are cyclical events. This year, the fall color change reached its peak over the weekend. A bit early, partly driven by the hot weather and extreme drought conditions in May and June. Those monsoon rains did little other than to reduce the drought monitor from extreme to moderate. But, I guess you take what Mother Nature gives. Thank you for stopping by from Through the Viewfinder, David, and thank you for the kind comments! My brother is also a DSP engineer. His mathematical background was good training for that. Yes, we must take what Mother Nature gives us. I do miss the colorful leaves of New England autumns, though. The weather in general is milder out here in western Oregon, and with all the wonderful food that comes in this time of year, I am happy to be here. I am glad to hear you get the colors in Colorado. 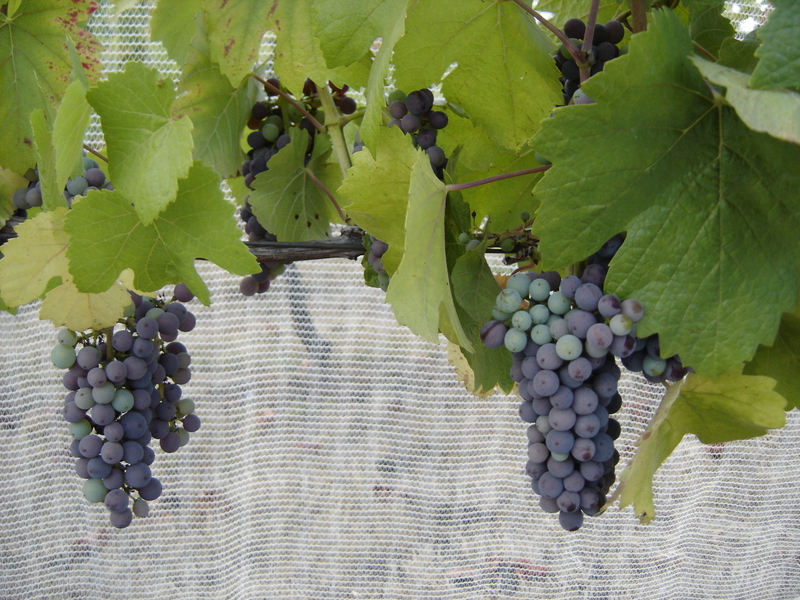 Good to hear that all is going well – the grapes are looking excellent this year. Fantastic nature notes this time – spiders, jays, squirrels, foxes are all good to see. Thanks for stopping by from QuercusCommunity – Life after the Care Farm, and thank you for the kind comments, Quercus! It has been a great grape year, and plums, too. We should be pressing grapes for our own wine in another week or two. Autumn is a good time to view wildlife here, now that the summer heat has passed, and the bookends of the day are at more reasonable hours. We do start to worry about rutting male deer and trees and shrubs soon. The males scrape the velvet from their antlers on them, destroying small shrubs and injuring younger trees. Thank you. Our rutting deer are confined to Wollaton Park, near the shop. (It’s also Wayne Manor in one of the Batman films). I went in the administration page of WordPress and indeed I found your two comments in the box ” spam ” . BU t i did not know how to approve them. I searched and infortunately I deleted them unvoluntarily of course. I saw too late a line giving a choice below which appears only when we pass the cursor on it. I am sorry . Without your mail I would not have realized this new system. Before we had to click on the right on the screen and some comments were to approve or not. It was simpler. Dear Lavinia , Could I ask you to write a short comment and this time I will take care to save it . I went and an made another comment on your site this morning. Occasionally WP throws people into SPAM for no apparent reason. Sometimes I think it happens when one is catching up with various blogs and there are more than some number of comments or likes in a particular period of time. I’ve seen other bloggers mention this has happened to them. Thanks again Lavinia . This time I had your precious comment . 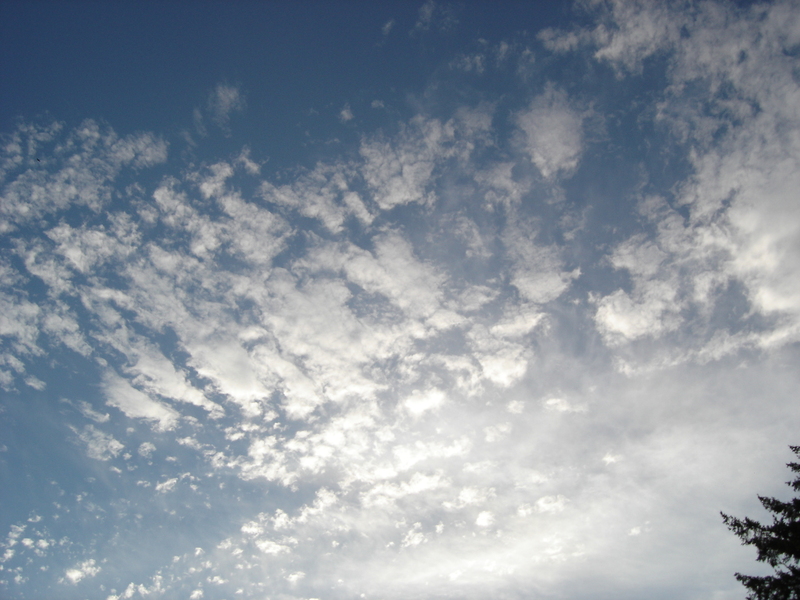 In hommage to Mrs Wynken so good observer of the clouds and loving the sing of the birds,here is a musical piece by Django Reihnard ( 1940) titled ” nuages ” ( clouds ). Enjoy! It’s good of your brother to have corrected the decimal approximation of π. I’d have done so too if he hadn’t already chimed in. Notice also on this first day of October that it’s the 10th month, not the 8th that octo normally indicates. That’s because two months got added to the Roman calendar, thereby bumping September, October, November, and December two slots further down. October has arrived, slightly more colorful here than I remember in past years. The leaves have a little more orange mixed in with the yellows, and are staying on the trees longer. Although not as colorful as my native New England, it is still beautiful. I am working on the September post today, a bit behind schedule, but its been a crazy summer and early fall season here. There’s even more of a discrepancy between the slight fall color in central Texas and what I grew up with in New York. I’m glad yours is a little more colorful than in recent years. Hi Lavinia and kitty’s too! It all sounds quite magical round your way. Wine, thunderstorms, prancing fawns and bowling mice 😀 Of course, you do have a way with the garden too. I loved the last photo shared of your Butterfly Bush. I especially loved to hear how the mice spent their evenings dropping nuts down the walls. LOL, I can’t help but picture Beatrix Potter’s enchanting artwork. Always good to see you Boomdee! Thank you for stopping by from western Canada, and for all the kind comments! Sounds like you have a good visit with Alys. We’ve never been to Carmel-by-the-Sea, but it sounds enchanting. I’ll put it on our wish list of places to visit. Best of luck on the new job, and keeping up with the unusual weather this year. I have heard “unusual” is the new norm for weather down here. I will post in a few days. It has been so busy here, I couldn’t get on out for October, so it will be combined with November.